The IP-2C Gel Injection Machine sets new standards for performance, design and features. 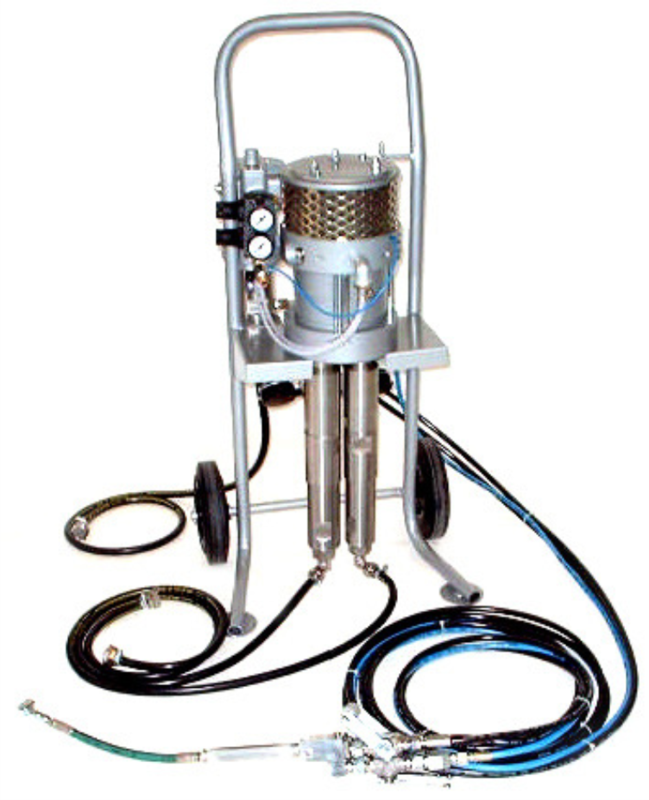 This complete package includes the stainless steel applicator with static mixer, a 15′ triple set of high pressure hoses, triple set of suction hoses. The individual components are pumped separately and mixed in the mix head of the applicator while pumped through a plastic disposable element. Check valves prevent the components from cross contamination.